China’s entrepreneurial landscape is one of the fastest growing in the world today. Over the past years, the Chinese economy has produced exciting startups and budding entrepreneurs dominate the business scene. In fact, China Money Network recorded 109 startups with a valuation of 451.16 US$B. This makes China as the second largest economy in the world. So how did China’s business landscape experience a remarkable rise? Mass entrepreneurship is the key for China’s growing number of new ventures. This is where the businessmen can show their skills and talents to improve a better way of living through innovation. It operates on the idea of social equity. One of the important ideas it has is to make everyone successful by providing equal rights and opportunities for all. Any aspiring entrepreneur who has an awesome business idea has a chance to build his own startup after having a work experience. As a result, it is expected that these things will maximize the idea’s potential and help boost the local workforce. Because of this, unemployment and poverty can be alleviated, and hopefully improve the society. In this year’s New Champions’ Annual Meeting Opening Ceremony, Premier Li Kequiang gave solid actions on how mass entrepreneurship and innovation changed the China economy. One example is the sharing platforms, where innovators communicate offline and online. The Chinese government has carefully adjusted the regulations in entertaining other industries such as mobile payment, e-commerce, and bike sharing. 70% of the new businesses last year created more jobs and the lives of people became more convenient. They have encouraged the ordinary people, especially the young ones, to engage in entrepreneurship and innovation. For the past three years, China established an average of 40,000 new businesses along with 14,000 newly registered enterprise. Mass entrepreneurship made an impact on the economic status of China. It stimulated the fast-growing industries and enlivened the traditional ones. So, the market value of China’s sharing economy reached 3.5 trillion yuan. It keeps on growing more than 100% every year. And because of this, 600 million people became part in sharing. China’s cabinet will stretch out financial sources for startups. They will also endorse intellectual property rights financing and set up government venture capital funds. Aside from these, they will make it easier for the foreign professionals to live and work in China. Thus, an entrepreneur who likes to start a new business in towns or villages will also enjoy related policies that exist these areas. The entrepreneurial mindset is rooted in education. The Ministry of Education released a guideline in 2016; compelling the teachers to develop their teaching methods. They were encouraged to turn a research into products or put up their own businesses. The number of teachers who specialized in innovation and entrepreneurship has reached more than 26,000 at the end of 2016 and the part-time tutors are over 76,000. Different universities in China have taken their part to inculcate the idea of China entrepreneurship through education. It is important to have incubators in the universities to turn their innovative ideas into reality. For the past two years, 19 demonstration bases were established in the universities. For example, the iCenter base of Tsinghua University supports 3,000 students every year to make their business dreams come true. Sichuan University worked with a local bank to have a risk compensation fund of 12 billion yuan (1.83 billion dollars). This is the source of the student loans for their business projects. Xidian University has built an innovative environment wherein the business ideas of the students would be implemented. The credit point system of the university includes entrepreneurship and innovation projects, paper publication and academic competitions. The MyCOS Research and the Chinese Social Sciences reported that the rate of the young entrepreneurs in China has marked up from 1.6% in 2011 to 3% in 2017. There are 20,000 out of 7.95 million college graduates who became entrepreneurs this year. With the equal chances in business, young entrepreneurs received moments of success in their fields. Kazuho Komoda started an agricultural technology startup in Beijing. He is a co-founder of Alesca Life Technologies Co Ltd.
His team of former bankers and traders settled the urban soil-less cultivation company in 2013. Their goal was to grow safe, sustainable and accessible food through the use of containers designed by Alesca. 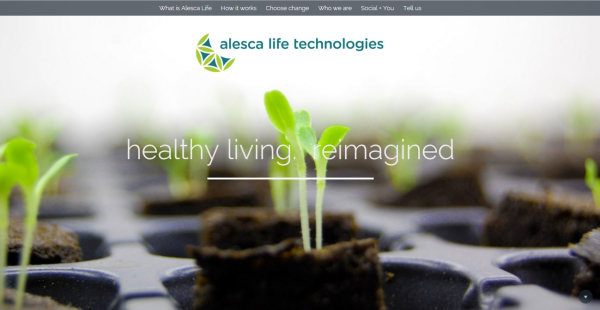 With the internet of things, Alesca Life made it easier for the urban homes to watch and track the growth of their fruits, vegetables, and herbs. It has a growth management app that is connected to the company’s optimization platform. Another booming startup is Qing Chun Hui, a campus-based e-commerce platform founded by Wai Wai Oo, a student from Myanmar. 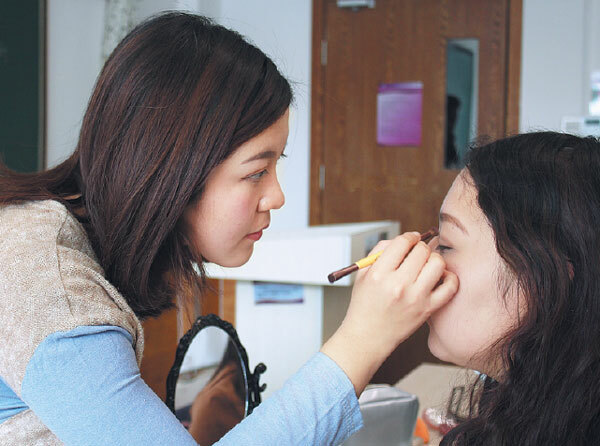 Qing Chun Hui gives make-up services at homes, dormitories, and hostels. They also offer costume-renting and make-up training. Wai Wai Oo’s business idea was born because of her one bad experience. She had to pay another make-up artist outside the school for an event. She used one-fourth of her monthly allowance for it. She was able to start her business despite lack of experience and funds. Chuang Plus, an incubator of Tsing Hua University supported her business idea. Her business gave services to over 10,000 university students in Beijing in the past two years. With this, she had a revenue of 3 million yuan ($450,000) in the last 10 months. On the other hand, Thomas Derksen widened his venture through his videos. He made people smile and he fully embraced the Chinese culture. He is a content creator, consultant, and a fintech firm partner. He is a German comedian that uploaded amusing video blogs with a Chinese name ‘Afu’, which means fortune or luck. He uses Chinese customs and speaks the dialect fluently in his videos. Within a year, he has gathered 5 million followers in the major content video platforms from QQ to Meipa. His popularity began when he joined a live TV show about expats’ lifestyle in China. His language and acting chops improved and when the program had ended, he decided to make his own show. “What’s It Like to Marry A Shanghai Woman?” was his first video that went viral. He acted like his mother-in-law in an apron who bossed around in the kitchen area of the apartment. His other hit video was when he spent his cashless day using Alipay, the largest mobile payment tool in China. This led to a sequel in G20 summit in Hamburg, Germany. He read an open letter to German Chancellor Angela Merkel and encouraged her to use mobile payments. He found his business partners through his shows. He has co-established Derken Industries Co Ltd. Its target clients are smaller German businesses who are in China and those who want to expand in Germany. He was also in charge of the marketing and events of Ginmon, a fintech that uses automated software to have smart investments overseas. He aims to become the cultural bridge that will connect Germany and China. There are other awesome startups that provide valuable solutions, such as iCarbonX and Face++. These companies are also going global, which boosts the country’s economic competitiveness. By exporting new business models and innovation, they redefine the “Made in China” label. Many people associate the label with low quality and these young entrepreneurs in China are changing it. 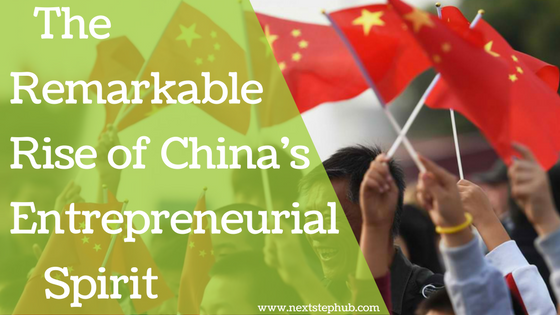 Indeed, China’s entrepreneurial spirit is set to enjoy a global success. With its pool of young talents and the way the government supports them, China’s entrepreneurship will surely become more thrilling and vibrant.